The Confidence You Need. The Care You Deserve. 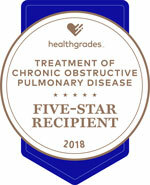 Beebe Healthcare is proud to announce it has been recognized by Healthgrades as having high achievements in Cardiac, Orthopaedic Services, Pulmonary, and Critical Care. Beebe was named among the top hospitals in the nation for coronary interventions – the only hospital on Delmarva to earn this distinction. Top 10 percent in the nation for Coronary Interventional Procedures for two years in a row (2017-2018) Read Sarah Gilmour's Story. Five-Star recipient for Total Knee Replacement for 15 years in a row (2004-2018) Read Marlene Henry's Story. Every year, Healthgrades evaluates hospital performance at nearly 4,500 hospitals nationwide for 34 of the most common inpatient procedures and conditions. The complete Healthgrades 2017 Report to the Nation and detailed study methodology, can be found at www.healthgrades.com/quality. 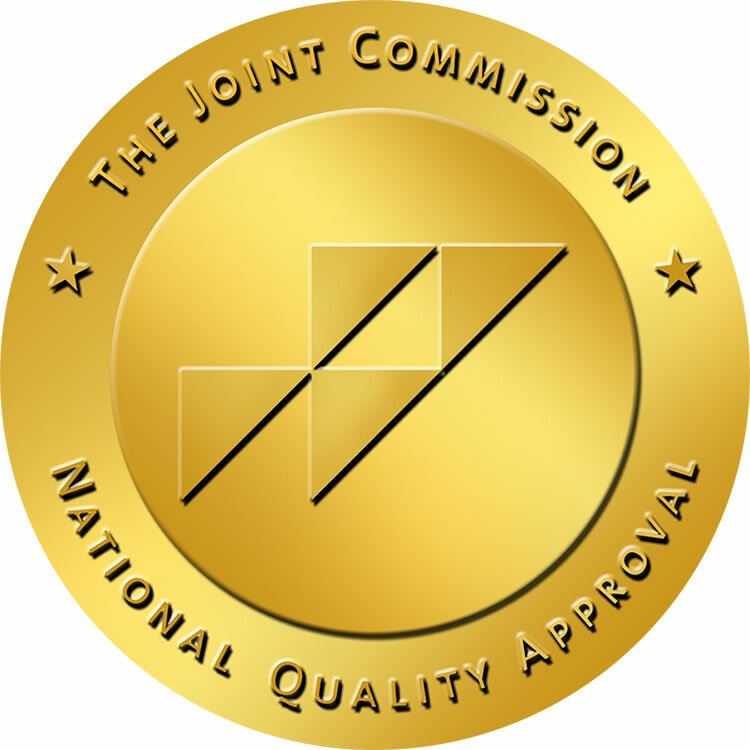 Beebe Healthcare and Beebe Home Care Services are accredited by the Joint Commission on Accreditation of Health Care Organizations (JCAHO). Learn more at www.jcaho.org. The Gold Seal of Approval® is a symbol of quality that reflects an organization’s commitment to providing safe and effective patient care. The American College of Surgeons Verification Review Committee verified our Trauma Center as a Level III, reflecting Beebe’s continual commitment to caring for those men and women who need emergency medical care due to serious accidents. Beebe Healthcare is proud to receive the Mission: Lifeline® NSTEMI Bronze Quality Achievement Award for implementing specific quality improvement measures outlined by the American Heart Association for the treatment of patients who suffer severe heart attacks. NSTEMI stands for Non-ST-elevation myocardial infarction. It is a type of heart attack accounting for about 30 percent of all heart attack cases. The American Heart Association’s Mission: Lifeline program’s goal is to reduce system barriers to prompt treatment for heart attacks, beginning with the 9-1-1 call and continuing through hospital treatment. Learn more. For the sixth year in a row, Beebe Healthcare has received the Get With The Guidelines®-Heart Failure Gold Plus Quality Achievement Award for implementing specific quality improvement measures outlined by the American Heart Association/American College of Cardiology Foundation’s secondary prevention guidelines for patients with heart failure. Get With The Guidelines-Heart Failure is a quality improvement program that helps hospital teams follow the most up-to-date, research-based standards with the goal of speeding recovery and reducing hospital readmissions for heart failure patients. Launched in 2005, numerous published studies have demonstrated the program’s success in achieving patient outcome improvements, including reductions in 30-day readmissions. Learn more. For the sixth year in a row, Beebe Healthcare has received the Get With The Guidelines®-Heart Failure Gold Plus Quality Achievement Award for implementing specific quality improvement measures outlined by the American Heart Association/American College of Cardiology Foundation’s secondary prevention guidelines for patients with heart failure. Get With The Guidelines-Heart Failure is a quality improvement program that helps hospital teams follow the most up-to-date, research-based standards with the goal of speeding recovery and reducing hospital readmissions for heart failure patients. Launched in 2005, numerous published studies have demonstrated the program’s success in achieving patient outcome improvements, including reductions in 30-day readmissions. Read more. Beebe Healthcare’s Tunnell Cancer Center has received reaccreditation by the Quality Oncology Practice Initiative (QOPI®) Certification Program, an affiliate of the American Society of Clinical Oncology (ASCO). The QOPI® Certification Program (QCP™) provides a three-year certification for outpatient hematology-oncology practices that meet nationally recognized standards for quality cancer care. This reaccreditation is an example of Beebe's dedication to quality care and the support of the Tunnell Cancer Center team. Read more. The Commission on Cancer (CoC) of the American College of Surgeons has granted a Three-Year Accreditation with Commendation to the Tunnell Cancer Center at Beebe. This is the fourth time that Tunnell Cancer Center has gained the coveted Commendation designation as part of the Certificate of Accreditation, although Tunnell Cancer Center has consistently received accreditation from the Commission on Cancer. Learn more. Beebe Healthcare has been granted a three-year/Full accreditation designation by the National Accreditation Program for Breast Centers (NAPBC), a program administered by the American College of Surgeons. The designation represents a renewal for Beebe Healthcare, which earned the accreditation in 2013 and was the first organization in Delaware to do so. Find out more. Beebe is proud to announce that it has earned the designation as a Baby-Friendly™ Hospital, reflecting its commitment to the optimal level of care for infant feeding and mother-and-infant bonding. Beebe Healthcare is the first organization in Delaware to earn this international designation, launched as part of the Baby-Friendly Hospital Initiative (BFHI) in 1991 by the World Health Organization and the United Nations Children’s Fund (UNICEF). Read more. Beebe Healthcare has been recognized by the National Safe Sleep Hospital Certification Program as a “Gold Safe Sleep Champion,” the highest designation, for its commitment to best practices and education on infant safe sleep. The National Safe Sleep Hospital Certification Program was created by Cribs for Kids®, a Pittsburgh-based organization dedicated to preventing infant, sleep-related deaths due to accidental suffocation. Beebe Healthcare, a Cribs for Kids® partner, also has been recognized for following the safe sleep guidelines recommended by the American Academy of Pediatrics (AAP), and for providing training programs for parents, staff and the community. Read more. Beebe Healthcare is proud to announce that it is the recipient of Most Wired Status from the American Hospital Association. Technology is making it easier for patients and providers to interact, thus improving communication, safety and patient-provider relationships. New tools are helping patients become more actively involved in their care and maintaining their health, according to results of the 19th Annual Health Care’s Most Wired® survey, released this week by the American Hospital Association’s (AHA) Health Forum. Read more. The National Committee for Quality Assurance (NCQA) recently announced that all nine of the Beebe Medical Group Primary Care Practices of Southern Delaware have received NCQA Patient-Centered Medical Home (PCMH) Recognition for using evidence-based, patient-centered processes that focus on highly coordinated care and long‐term, participative relationships. The NCQA Patient-Centered Medical Home is a model of primary care that combines teamwork and information technology to improve care, improve patients’ experience of care and reduce costs. Learn more. Start with the Find A Doc database here or call the Physician Referral Line at (302) 645-3332.